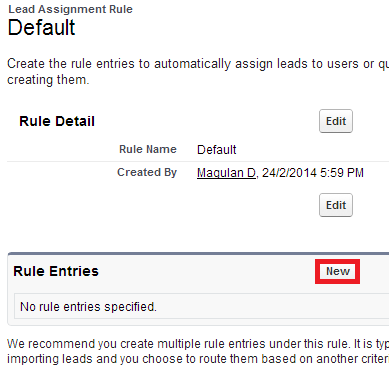 Create assignment rules to automate your organization’s lead generation and support processes. 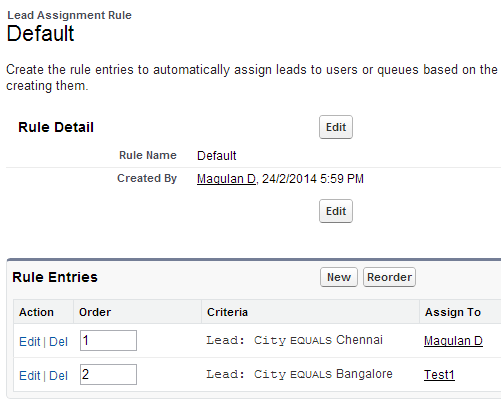 Lead Assignment Rules—Specify how leads are assigned to users or queues as they are created manually, captured from the web, or imported via the lead import wizards. Case Assignment Rules—Determine how cases are assigned to users or put into queues as they are created manually, using Web-to-Case, Email-to-Case, On-Demand Email-to-Case, the Self-Service portal, the Customer Portal, Outlook, or Lotus Notes. 1. 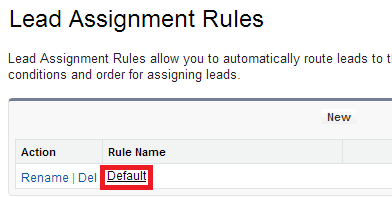 Go to Setup --> Build --> Customize --> Leads --> Assignment Rule. 3. 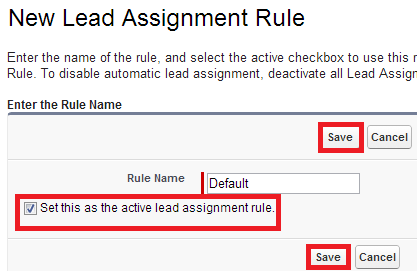 Give a name, check "Set this as the active lead assignment rule" check box. 4. Open the assignment rule. 5. Click "New" to create a rule entry. 6. Enter the criteria as per your requirement. 7. Below is the output of my rule criteria. 8. 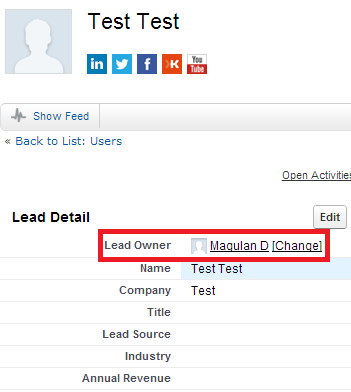 Go to Leads tab. Create a Lead record. 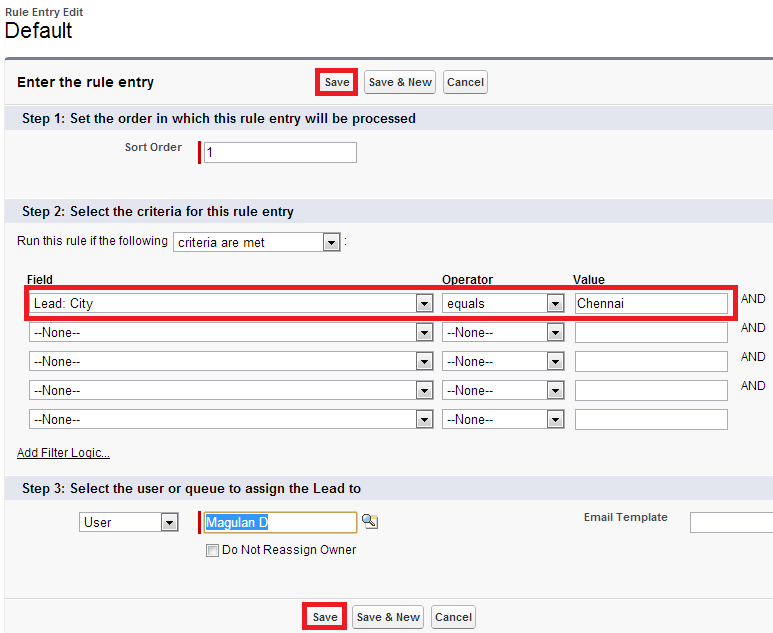 Check "Assign using active assignment rule" check box. 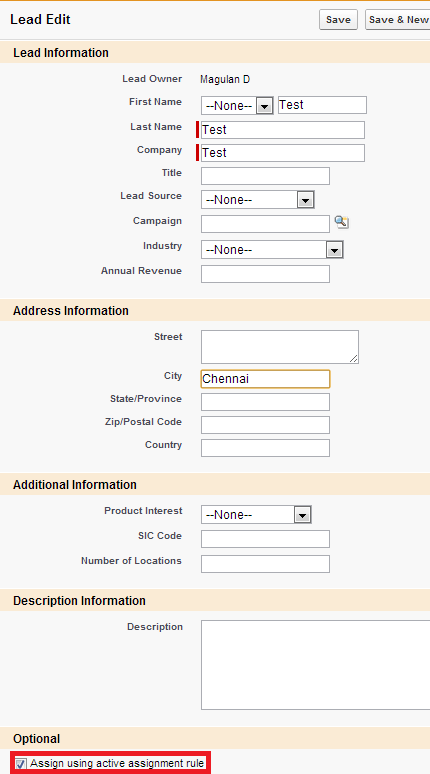 This lead record is assigned to Magulan D because the Lead city is Chennai.